In celebration of the release of our new album Totem and our Red Rocks show on 7/22, we’ve partnered up with Denver’s Crooked Stave Artisan Beer Project to collaborate on two new summer brews. Damn! IPA and Totem Wild Ale will both be available at Crooked Stave’s taproom located in The Source (Denver) beginning Thursday, June 16. Read on for more information on each of the beers. Download “Damn!” – the first single from Totem – on here. Damn! IPA – Brewed in collaboration with The Motet to celebrate their July 22nd Red Rocks show and new single Damn!, this beer showcases hops piled on top of more hops. Created with live music and summer festivals in mind, this IPA tickles the pallet with citrus, tropical fruit and just a little bit of dank hop aromas packed into a refreshing 6.0% abv beer. Damn! 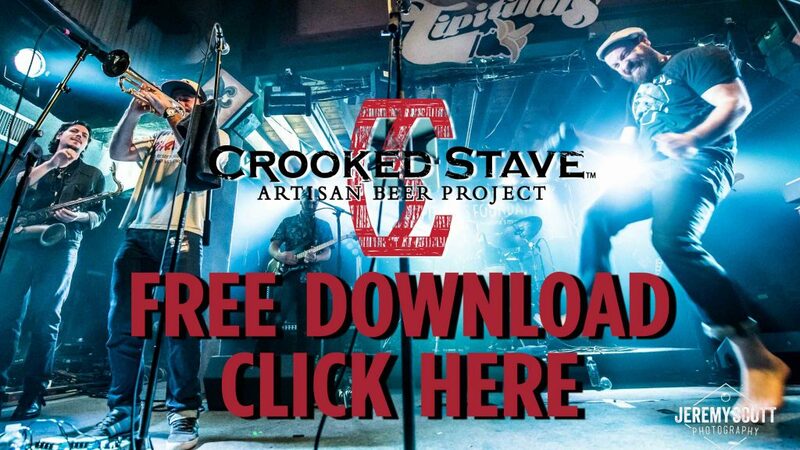 IPA will be available on draft at Crooked Stave at The Source, and at 20 locations around Denver. Totem Wild Ale – Totem is inspired by the oak barrels Crooked Stave holds sacred at their brewery. Stacked to the ceiling, they elevate the natural wild beers they brew. This limited edition bottling will only be available through Summer 2016 in celebration of The Motet’s new album Totem and their headlining show at Red Rocks on July 22nd. 5% abv. Totem Wild Ale will be available on draft and in bottles at The Source, as well as in bottles at select stores throughout Colorado.